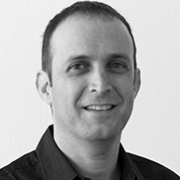 Yuval is a media entrepreneur and creative director with 20 years of experience in TV and animation. In 2006, he founded Smartoonz, an international content development company, creating and producing multi-platform content for children, comprising TV/online series, games, mobile games and interactive applications. In that year, Smartoonz presented new pilots at MIPCOM, which made the company an interesting new player in that market. These pilots became TV series that are successfully broadcasted by major TV channels worldwide, and distributed in more than 50 territories. Yuval began his work in the TV industry as a broadcast technician in a TV studio and worked his way up to post-production as a video editor. He later became a leading compositor, animator and special effect artist working on TV commercials and movies. He later established an animation studio and post-production house. He studied Visual Communication Design at the Israeli Design Centre in Tel Aviv, as well as VFX, animation, sound design and organizational transformation.